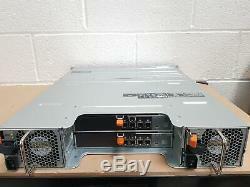 For sale is a Dell PowerVault MD1400 48TB DAS Storage Array. 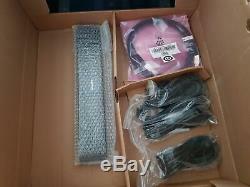 These arrays are brand new and unused and come with all their original accessories. These come with a Quantum faceplate but the service tags are fully recognised on the Dell website and they operate as Dell arrays. We can provide the service tags to verify this. These systems have the following specification. 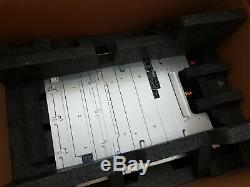 Dell PowerVault MD1400 12x 3.5'' LFF 12Gbps SAS Storage Array. 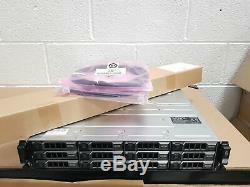 2x Dell PowerVault MD1400 4 Port 12Gbps SAS EMM Controllers. 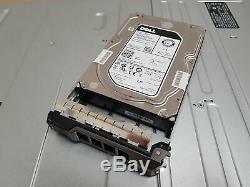 12x Dell 4TB 12Gbps SAS SED (Self Encrypting) Enterprise Hard Drives (Dell P/N FCHXF). 2x Dell SFF-8644 to SFF-8644 2M Mini SAS HD Cables. If you have any questions about the system, please ask. We can provide 9 a. Other 24 Hour Courier (DHL Express): 1 day. We will resolve the problem directly with you. All prices are inclusive of VAT at 20%. EU VAT Registered companies and customers outside EU pay 20% less the advertised price. If you have a valid EU VAT number, we can zero rate VAT. Any offers submitted from outside EU are assumed to not include VAT. VAT invoices can be provided on request. The item "Dell PowerVault MD1400 48TB (12x 4TB 12G SAS) 12G DAS Storage Array 12x 3.5'" is in sale since Tuesday, March 19, 2019. This item is in the category "Computers/Tablets & Networking\Enterprise Networking, Servers\Network Storage Disk Arrays\SAN Disk Arrays". The seller is "viralvps" and is located in Livingston. This item can be shipped worldwide.